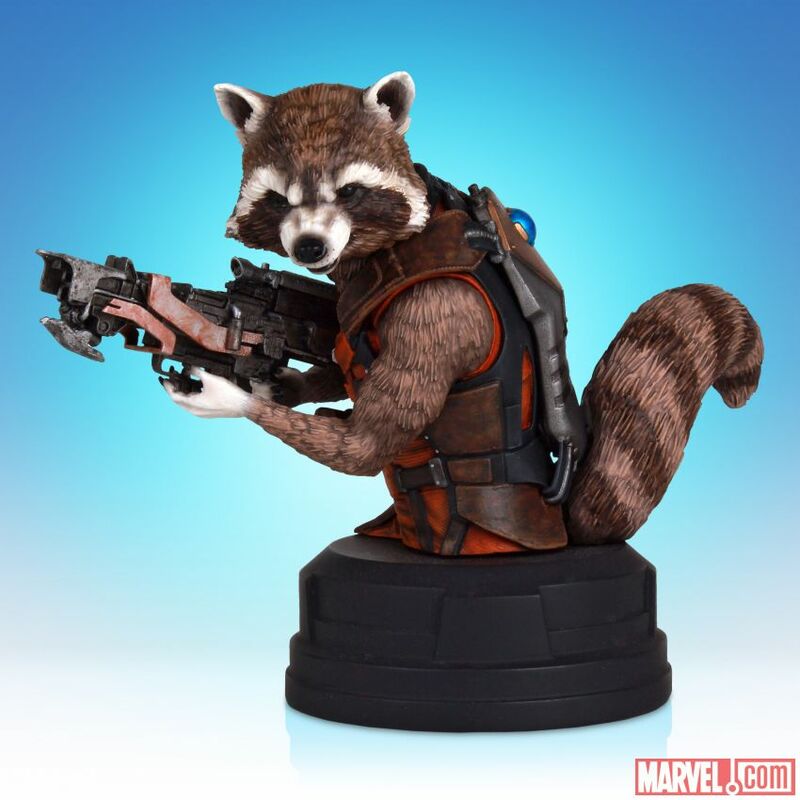 July 8, 2014 Posted by Arnie C | Comic Books, Marvelicious Toys, Movies, News, Podcasts	| Avengers, Collecting, Comic Books, Comics, Enertainment, Film, Gentle Giant, Guardians of the Galaxy, Marvel, Marvel Comics, Marvelicious Toys, Mini-Bust, Movie, Movies, News, Podcasts, Pre-Order, Rocket Raccoon, Statues, Toys | Comments Off on Gentle Giant Announces SDCC Exclusive Rocket Raccoon Mini-Bust! 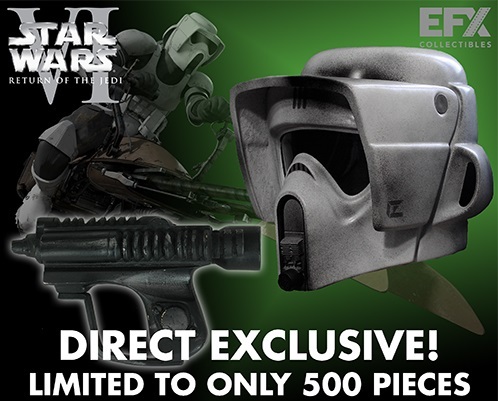 Up for pre-order now from eFX Collectibles is their Legend Edition Scout Trooper Helmet & Pistol! This is described by eFX as “the most accurate reproduction of this incredible helmet produced to date.” The master molds for the helmet were made from the original master tools ILM used to make the helmets used for Return of the Jedi, and then an original ILM decal sheet was used to make the markings and symbols on the helmet. Finally the helmet is made in ABS, just like the on-screen prop helmets. Additionally this helmet comes with a replica Biker Scout Pistol, cast from an original, screen-used prop! The price is $899 and, limited to 500 pieces, this is sure to sell out fast. So if you want yours head to eFX’s web site now!